FEATURE — The St. George Exchange Club was named among clubs receiving the most recent Big E Award, a prestigious designation by the National Exchange Club given to only a few clubs each year. Exceptional community service, exemplary promotion of Americanism and membership growth are some of the rigorous requirements to earn this award. Despite the difficulty in achieving the award, the club has earned the venerable status four of the last five years. 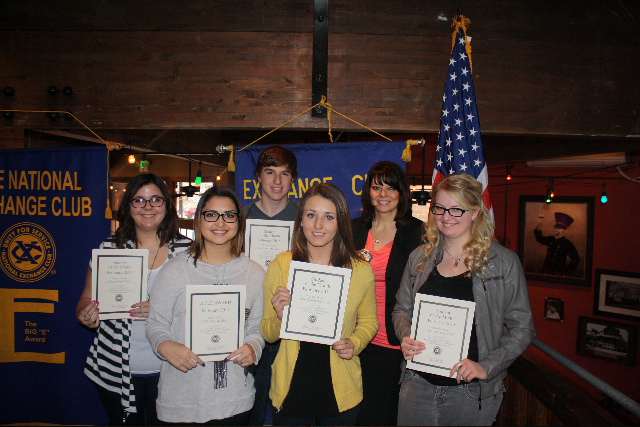 The Exchange Club is an all-volunteer national service organization for men and women who want to serve their community, encourage Americanism, promote prevention of child abuse and award youth achievement. The club has been Southern Utah’s premier service club since 1974. One of the primary focuses of the Exchange Club is to foster pride in our nation, appreciation for the freedoms that we enjoy as citizens, respect for our flag and commitment to better serving the community. On a regular basis, the Exchange Club organizes the purchasing and installation of freedom shrines in public buildings and schools in our community. Freedom shrines have been installed at the St. George Regional Airport, Sunset Elementary School, George Washington Academy and a number of other area locations. The Club promotes the study of American history by providing funding and support to Washington County elementary schools who participate in the “Give Me Liberty” program. Area fifth-graders memorize parts of several key historical documents and students must also learn the names of all U.S. presidents in order, memorize all 50 states and capitals and recognize all the continents and oceans. Back row L-R: Megan Seaton, Tuacahn High School; Michael Hirschi, Pine View High School; Shonie Christensen, Exchange Club president. Each year the club celebrates Veterans Day by purchasing and distributing more than 2,000 American flags to children along the local parade route to commemorate those who have sacrificed so much — including their very lives — to ensure the freedoms Americans enjoy. The year’s biggest event for the club is the Southern Utah Performing Arts Festival, now in its 30th season. This adjudicated competition is dedicated to helping young people achieve in the performing arts. It attracts more than 5,000 students from all areas of Southern Utah as well as adjudicators from throughout the state and Southern Nevada. Scholarships are awarded to top performers in many categories. The club participates in fundraising activities to help support local recreation projects for youth. It donated more than $125,000 for Thunder Junction at the St. George All Abilities Park and Playground. Other recreation projects the club has been involved in are the pavilion at Vernon Worthen Park in St. George and forthcoming upgrades to the park located on 300 South and 400 East in St. George. 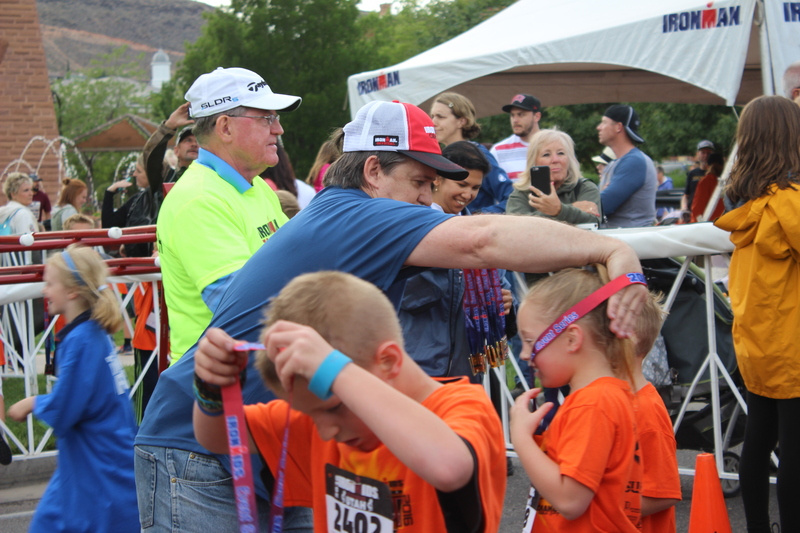 For the last several years, Ironman, city of St. George and the Exchange Club have partnered to host the “Ironkids Fun Run” for children 12 and under. It has also helped host the “Mayor’s Walk” in conjunction with the St. George Marathon. The club has a special interest in preventing child abuse by providing a variety of public awareness materials about child abuse and how it can be prevented. The Exchange Club won a presidential award from the White House Office of Private Sector initiatives for its efforts in child abuse prevention. The St. George Exchange Club has been an integral part of Southern Utah for many years and intends to continue contributing for many more to come. It welcomes new members, young or not-so-young, men and women alike. St. George Exchange Club: Website | Email sgepres@gmail.com. Written by or for St. George Heath and Wellness magazine and St. George News.